Lots: The lot size for trading. RiskPercentage: Set a value other than zero to activate lot sizing by use of percentage of margin. TrendLineName: The name of the line to track. 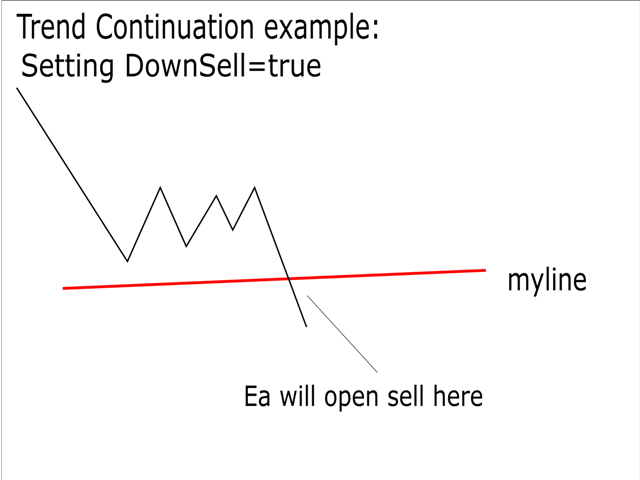 You can either *rename the trend line to myline or alternatively enter the existing name of the trend line in the EA. 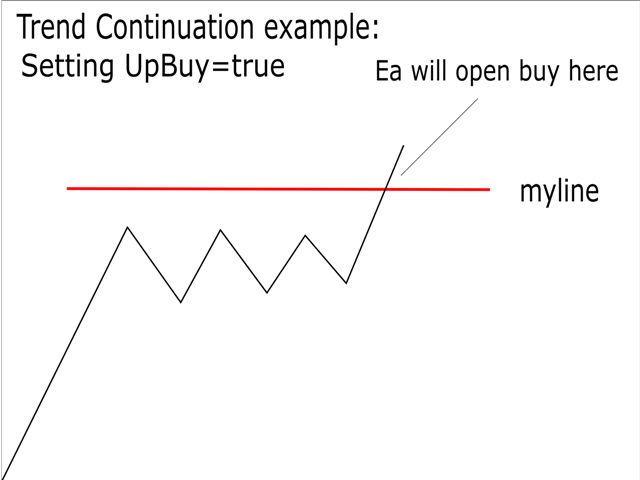 UpBuy: Set true/1 to buy if the line is crossed or touched upwards from below. 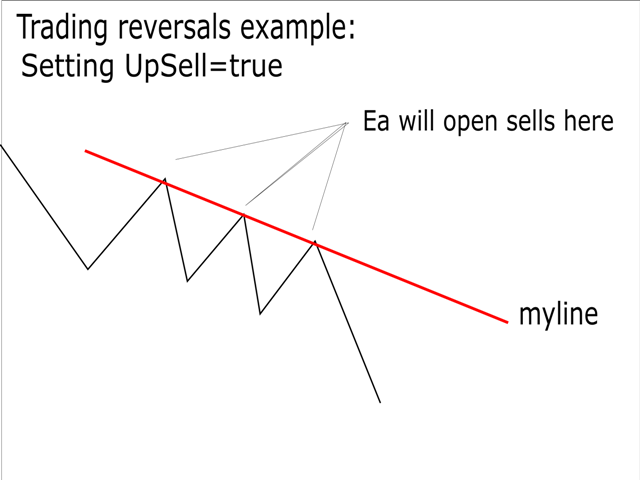 UpSell: Set true/1 to sell if the line is crossed or touched upwards from below. 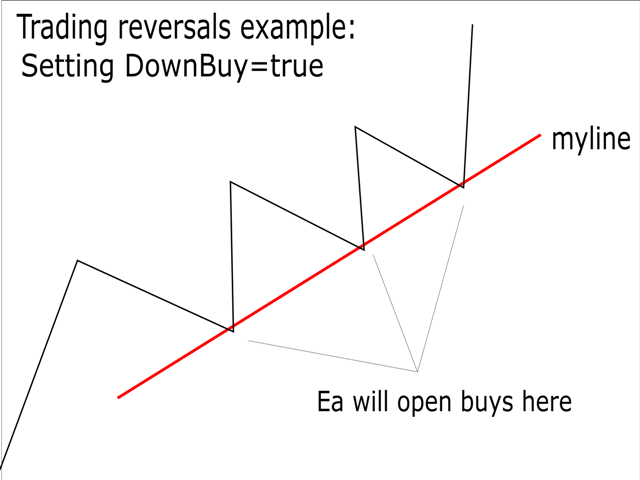 DownBuy: Set true/1 to buy if the line is crossed or touched downwards from above. 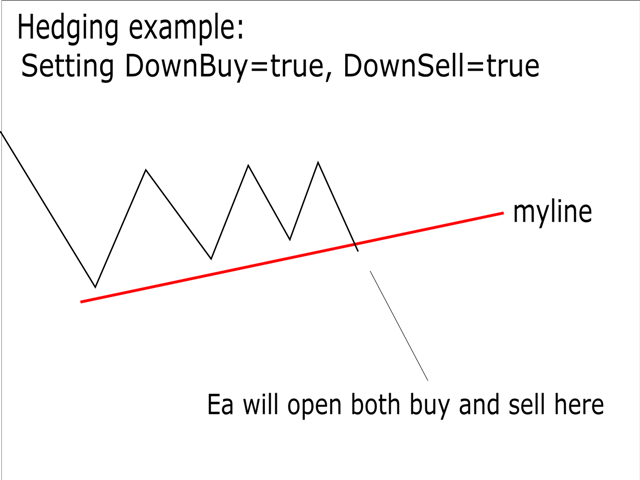 DownSell: Set true/1 to sell if the line is crossed or touched downwards from above. TakeProfit: TakeProfit distance in points. StopLoss: StopLoss distance in points. 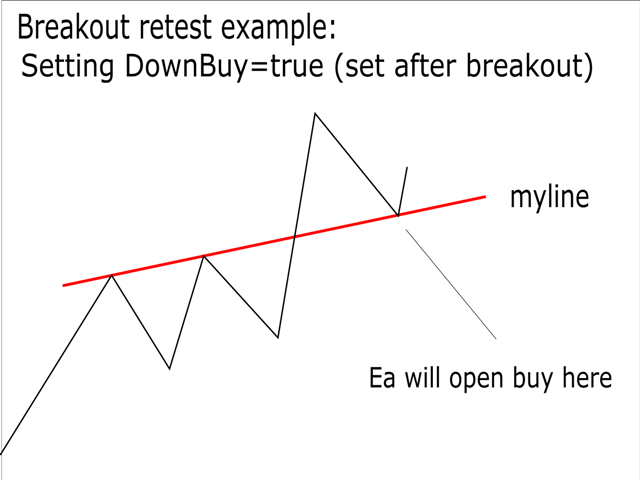 MaximumTrades: Maximum number of trades the ea can keep open at the same time for the chart pair and MagicNumber. MagicNumber: Unique id for trades from a certain instance of the ea. If running more than one instance on the same currency pair then each instance should have a different magic number. For instances on different pairs, the same number can be used. 1) Double click on it to select it. 2) Left click on it. 3) Click on trend line properties on the small window that appears. 4) Enter the new name as myline so the ea can monitor it. 5) Click on the OK button on the screen or click enter on your keyboard.